Sting | News | Summer 2015 - Concerts in Norway Confirmed! Sting will perform three concerts in Norway as part of his European tour next summer. On June 26, he'll play Bergen Calling in Bergen and will then head to Stavanger for a show at Dnb Arena on June 27 before wrapping up at the Oddereya in Kristiansand on June 28. 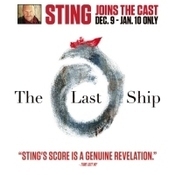 Additional dates will be announced in the coming weeks, so stay tuned to Sting.com for updates! Tickets will go on sale this Friday, December 12 at 9AM, but Sting.com fan club members can purchase tickets in advance of the general public beginning tomorrow, December 10 at 9AM. (All times are local.) Visit http://www.sting.com/tour/index/ for additional information and to check out the dates that have already been announced.